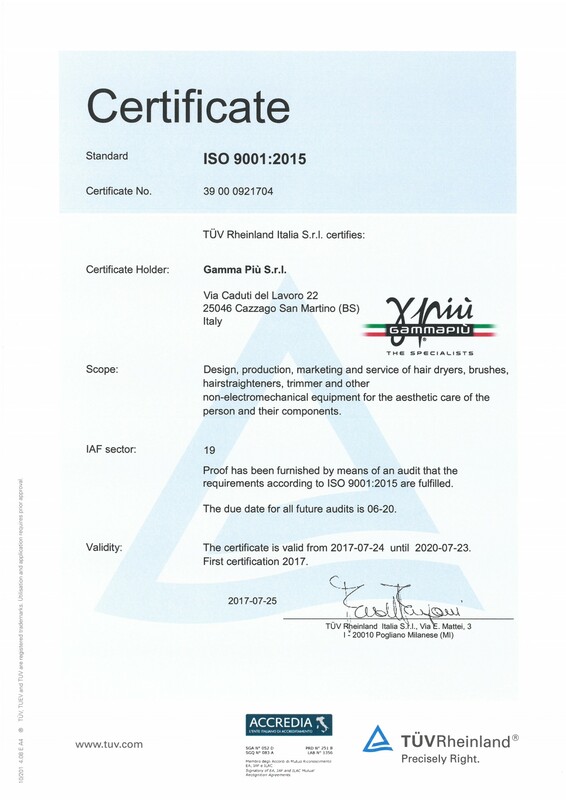 Gamma Più is pleased to inform that we earned the certification “Quality management systems” UNI EN ISO 9001:2015 issued by TÜV Rheinland. The entire Gamma Più team had been working hard to achieve this important goal. Our customer attention and our will to keep on improving our service allowed Gamma Più to perfect our processes and manufacture our products in a more effective & efficient way. This certification is certainly a reward for our efforts, but the journey does not end here. On the contrary, it is the first step. This certification will require Gamma Più constant improvement of our technological processes and management systems. We will implement new procedures to monitor constantly our activity in every single phase. The final goal is to bring more value to our customers and their total satisfaction.